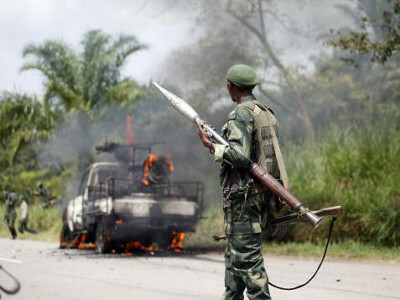 Three people were killed in riots on Friday near a border crossing between Democratic Republic of Congo and Zambia that serves as the main export route for Congolese copper, Congo’s government said. Authorities in both countries closed the border in response, Christabel Mulala, the mayor of the Zambian border town of Chililabombwe, said. Clashes between young protesters and police broke out in the Congolese town of Kasumbalesa after a money changer was killed overnight, Congo’s government spokesman Lambert Mende told Reuters. It was not immediately clear who the three people killed on Friday were, or how they were killed. “The demonstrators accuse police of being indolent,” Mende said. Eric Monga, the local president of Congo’s chamber of commerce, said trucks were being held 10 km away from the Congolese side of the border after rioters burned vehicles and administrative buildings. Congo, Africa’s leading copper producer, mined nearly a million tonnes of the metal last year. Nearly all of the country’s copper exports pass through the Kasumbalesa crossing.